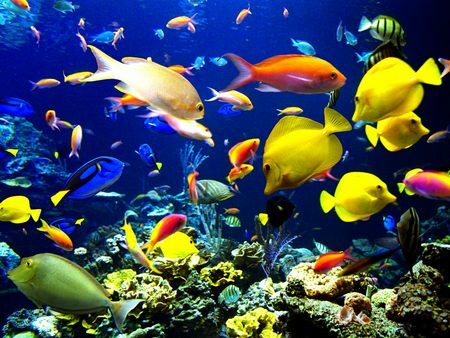 There are 230,00 fish species. Catfish have over 27,000 taste buds. Catfish have 3 or 4 pairs of whiskers (called barbels) to held find food. Most brands of lipstick contain fish scales. 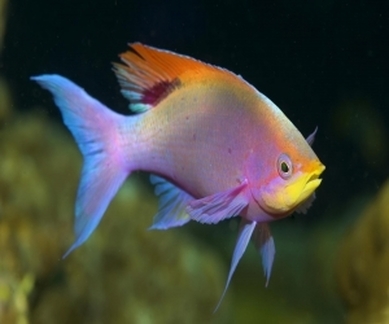 Fish use low-pitched sounds to convey messages to each other. Fish can form 'schools' containing millions of fish. The fish in the middle of the school, control the school. Sharks are the only fish with eyelids. Not all fish have scales. The scales of a fish grow as the fish grows. The stonefish is the most poisonous fish in the world. A newly hatched fish is called a fry. 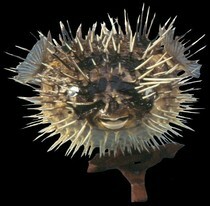 The venom of the stonefish can kill a human in two hours. It is the most dangerous fish in the world. Parrotfish sleep in a bag of their own mucus. The Climbing Gourami can climb out of the water and walk short distances. Their gill plates act as support and they use their fins and tail to push themselves along. Fish swimming in polluted lakes lose their sense of smell. The Atlantic Salmon can jump up to 12 feet. The fastest fish in the sea is stye Swordfish and can reach a speed of 68 miles per hour. There is a fish with hands - called the Pink Handfish, but was last seen in 1999. 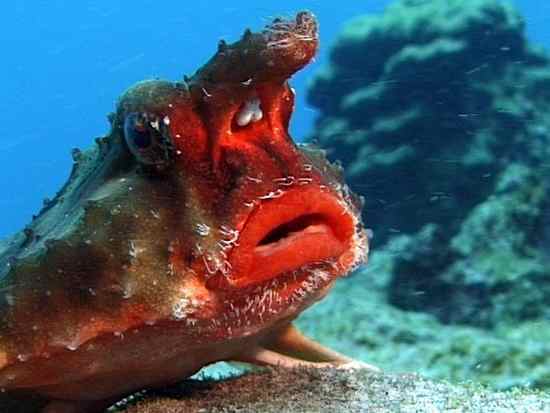 It doesn't swim, and uses its hands to walk around the ocean floor. The Coelacanth fish is being well protected and was once believed to have been extinct. The smallest fish in the world is the Pygmy Goby and the Luzon Goby from the Philippines - they are only half an inch long fully grown. The Stonefish which lives off the cost of Australia, is the most poisonous fish in the world . 385 million years ago, fish had fingers. Clownfish are all born male - some turn female to enable mating. Often use tools to open clams, etc. Salmon always return to the place where they were born. Flying fish jump out of the water - they are attracted to light. Flying fish live in all oceans, particularly tropic and subtropical waters. Have a memory span of about 3 seconds. 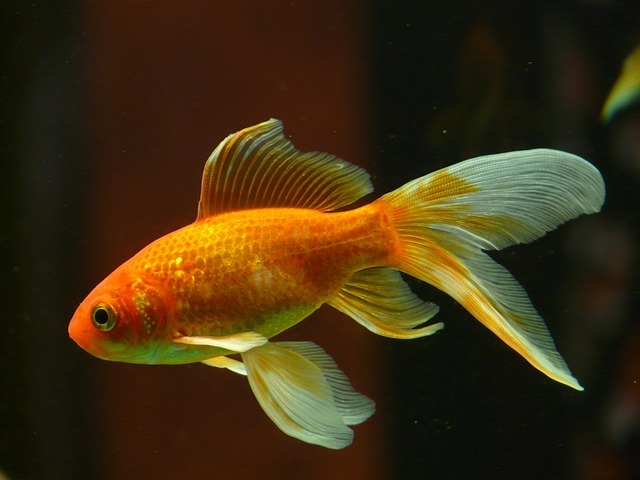 The oldest Goldfish lived for 41 years and his name was 'Fred'. Goldfish lose their colour if kept in dim lighting. Goldfish see in both infra-red and ultra-violet light. A pregnant Goldfish is called a 'twit'. Humans have a shorter attention span than goldfish. Are the only fish that can swim upright. Are the slowest swimming fish, moving along at about 0.01mph. Are monogamous life mates and travel holding each other's tails. Each eye can move independently.